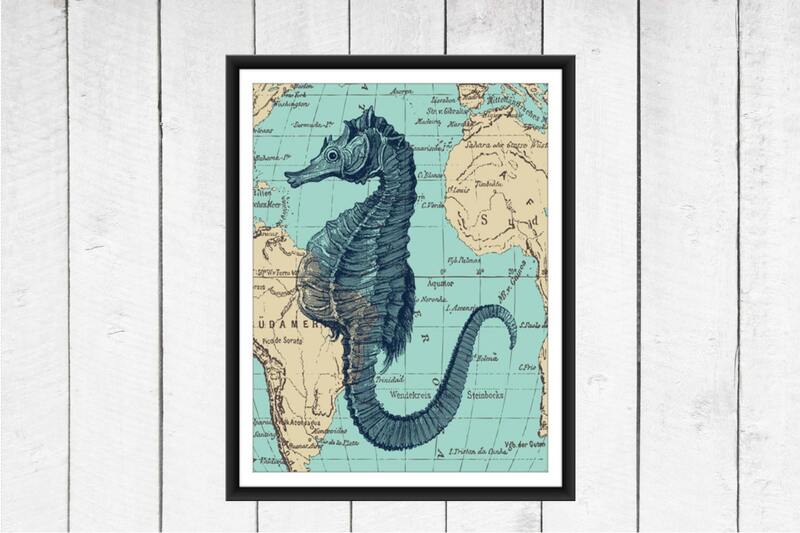 Vintage seahorse image on vintage map. Nautical Decor. 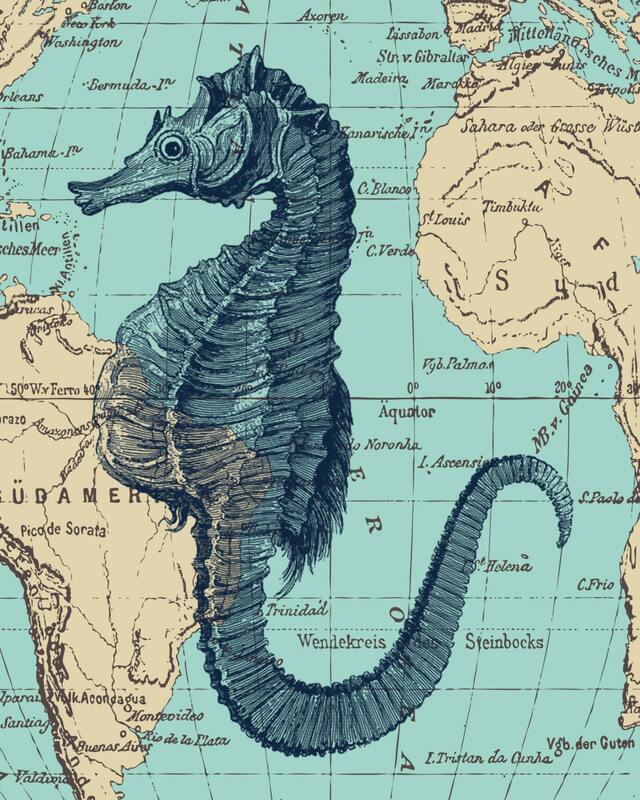 I love anything and everything nautical! Available in the colors shown.